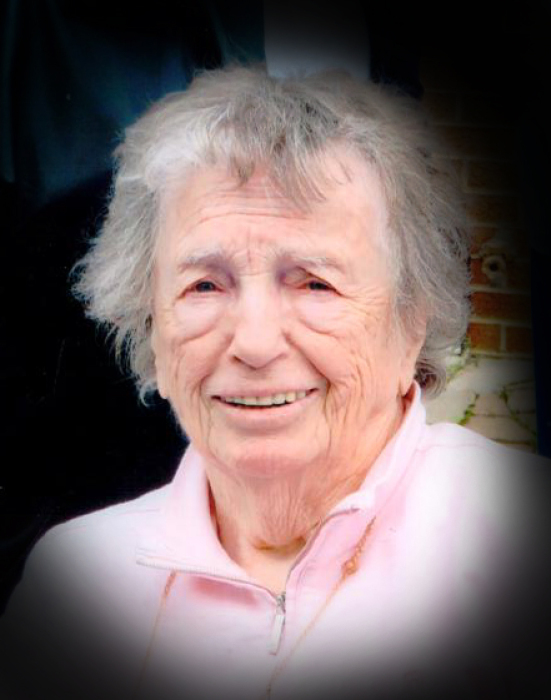 Rosemary T. Cavanaugh, 90, of Morrisville, PA, was called home to God’s loving care on Thursday, August 16, 2018. Daughter of the late Frank T. and Florence (Newman) Cavanaugh and sister of the late Joseph and Francis “Fran” Cavanaugh, she is survived by a sister Margaret “Peg” Kite of Lawrenceville, NJ and a brother John “Jack” Cavanaugh of Saylorsville, PA. Rosemary was the beloved aunt of Susan Pasteur, Joe, Mark, Lynette, and Colleen Cavanaugh, Robert, John Francis, and Joseph Kite, Clare Kwami, Richard and Christopher Kite, Catherine Kite Strycharz, Rose Seifert, and Agnes and Mary Kite. She also leaves behind dozens of great nieces and nephews and great-great nieces and nephews. Rosemary was born in Trenton, NJ, and was a lifelong Morrisville resident. A graduate of Morrisville High School and East Stroudsburg State Teacher’s College, she taught physical education in Hagerstown, MD, Atlantic City, NJ, and Morrisville, PA. Upon retiring from teaching, she embarked on a second career as a child caregiver for Adam, Scott and Allison Levine. She enjoyed sports such as bowling and skiing, and especially enjoyed tennis. Childhood experiences picking asparagus on her Uncle Bill’s farm fostered a love of gardening and fresh vegetables. She enjoyed playing bridge, gourmet cooking, trips to the Poconos, and spending time with family, especially Tuesday family night dinners at her sisters. She had a heart of gold, and loved her very large, extended family. The family would like to thank her care team at Kindred Hospice and the nursing staff at Attleboro, especially Lisa, her aide. Relatives and friends are invited to celebrate her Funeral Mass at 11 AM on Tuesday, August 21, 2018 at Holy Trinity Roman Catholic Church, 201 N. Pennsylvania Ave., Morrisville, PA. Her interment will follow in St. Andrew’s Catholic Cemetery, Sycamore St., Newtown, PA.
Friends may call Tuesday morning from 9:30 – 10:30 AM at the J. Allen Hooper Funeral Chapel, 41 W. Trenton Ave., Morrisville, PA 19067. The family is requesting memorial contributions in Rosemary’s name be made to Holy Trinity Church at the above address.